This Welsh designer creates bold hand-drawn details inspired by her travels, the people, and architecture she encounters along the way. After spending a number of years as a children’s book designer, Sian switched careers to open an online boutique. 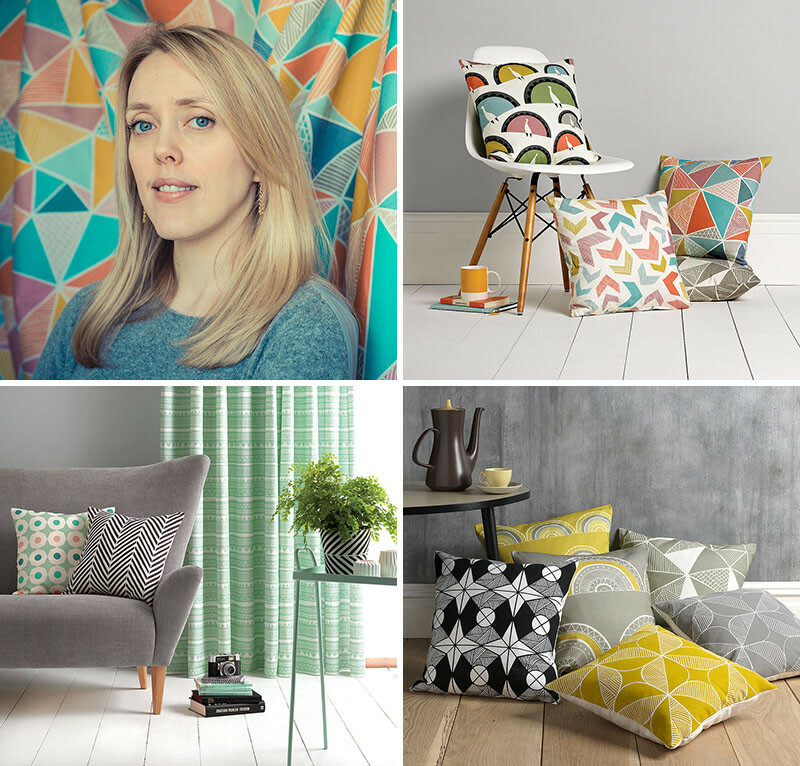 A big supporter of local craftspeople, she employs local Welsh seamstresses to assemble the textiles and has the digital printing done in the north of England. Visit the Sian Elin website, here. 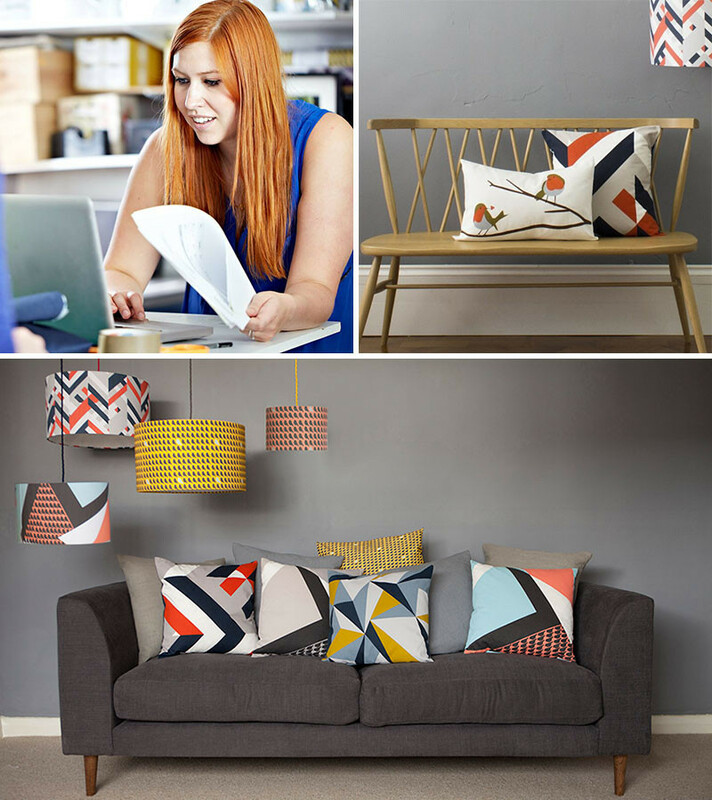 Erin Flett is a graphic designer who takes her passion for bold, imperfect, organic shapes, and combines them to create hand drawn prints and textiles. Over the last five years, she’s been featured over 30 times in magazines and has had her products sold world wide. 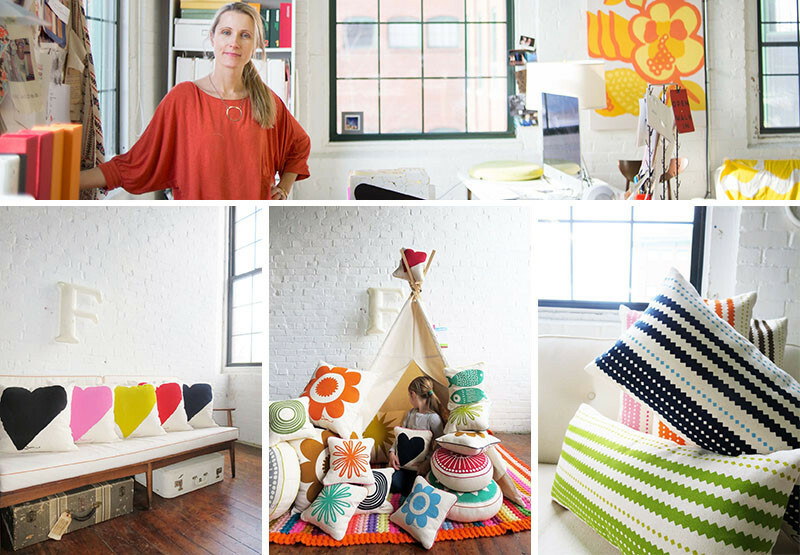 While her business began with her and her husband in their basement, her studio is now an old 2700 square foot cotton factory with a growing number of employees and no signs of slowing down. Find out more on her website or on Etsy. After working for 20 years in the French Fashion industry, Jean-Christophe Tabary switched gears to create prints and pillows based off of his photography. Growing up he was constantly drawing, painting, and creating, which led him to attend art school in Paris. His successful career is a testament to his natural design abilities and his graphic pillows are a reflection of his meticulous attention to detail. See more of his designs on his website or Etsy. 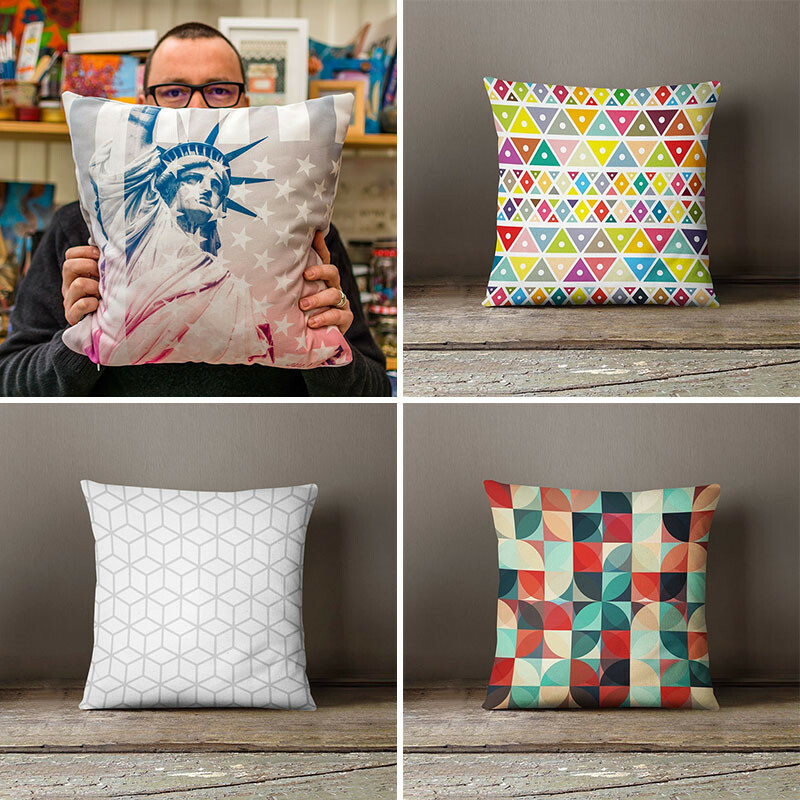 Inspired by the British countryside, Lorna Syson uses locally sourced and eco-friendly fabrics to create unique pillows and textiles. 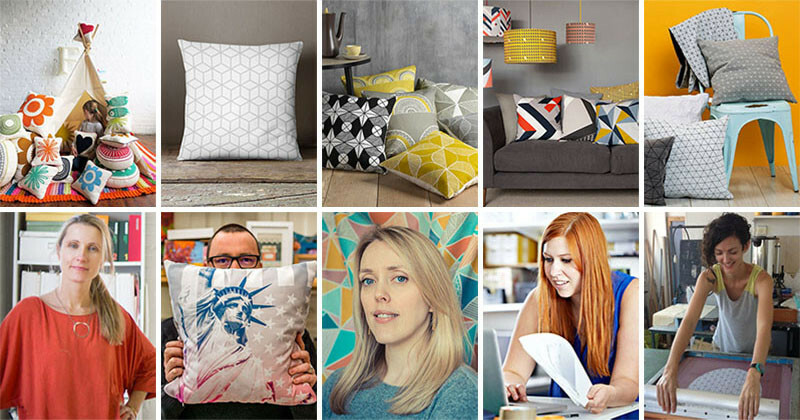 The company started in 2009 and since then has grown into a studio in South East London with her small team and studio dog Jenkins. Lorna sells her work all over the world and works closely with architects, interiors designers, and private clients to create custom projects. You can see more of her designs on her website. After graduating from “Shenkar” College of Design in Israel, Mika traveled abroad to Milan to continue her textiles and design studies, before returning to Israel in 2011. 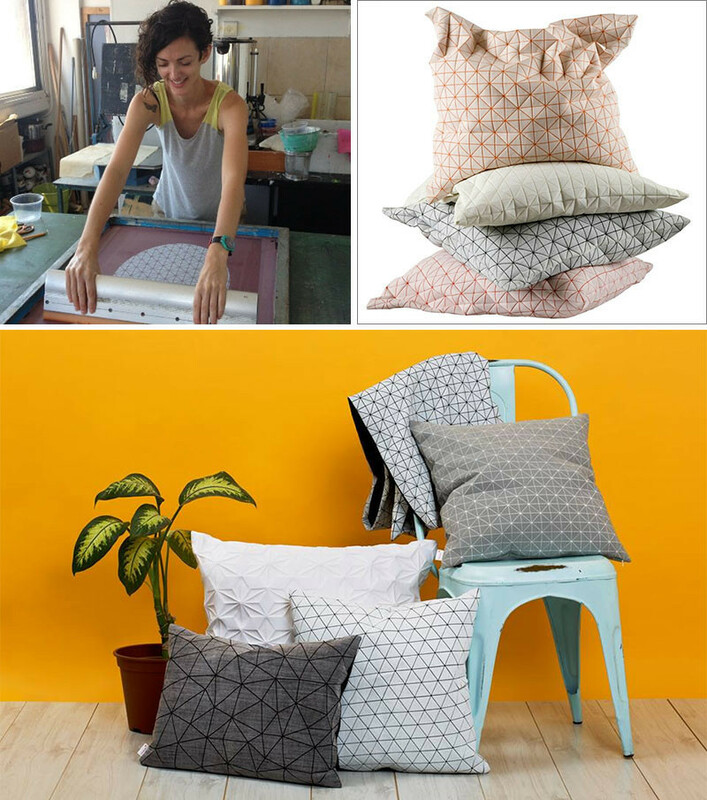 It was then that she set up her own studio focusing on textiles and textile printing. Drawing inspiration from nature as well as cities, Mika designed a unique 3D textile that she uses in the creation her home decor pieces. You can see more of Mika’s designs on her website or on Etsy.